Today we celebrate Labor Day. As we enjoy the last days of summer, I would like to take a moment to remember the day’s true meaning—a time to honor the contributions workers have made to strengthen the well-being of our country, the struggle for improved pay and working conditions, and the fight that our value be recognized. As Chair of the Board for the Institute for Women’s Policy Research (IWPR), I’m proud to be a part of this organization and the important role we play in this on-going effort to improve working conditions and economic security for working families. Women play an essential role in the continued strength and prosperity of this country. Early this summer, IWPR and the National Domestic Workers Alliance (NDWA) released The Status of Black Women in the United States. The report provides critical data to identify the barriers that Black women face in the workplace and to suggest investments, programs, and public policies that can lead to positive changes for Black women and their families. At the June event, “From Persistence to Power: Facts, Truth, & Equality for Women,” IWPR collaborated with Spelman College and the Wellesley Centers for Women to discuss many of the key-findings for the report. You can watch the entire event online. To read the key-findings and for more in-depth information, you can find the full report and the Executive Summary on IWPR’s website. 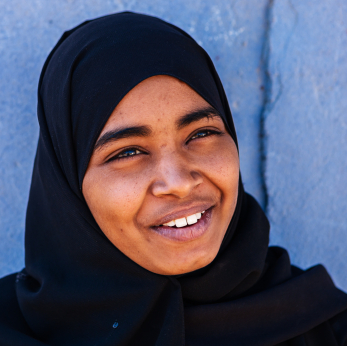 IWPR’s work to promote equal pay for women is important to ending poverty and improving income security for families. IWPR researchers estimate that it will take until 2059 for women to finally reach equal pay (2056 for White women, 2124 for Black women, and 2248 for Hispanic women). Black women participate in the labor force at higher rates than White, Hispanic, Asian, and Native American women, with 62.2 percent of Black women in the workforce. With the support of unions, Black women earn 32 percent more than their nonunionized counterparts. Closing the gender wage gap would increase women’s earnings and add billions of dollars in wage and salary income to each state’s economy and $512.6 billion to the national economy. In The Economic Impact of Equal Pay by State, IWPR takes an in-depth look at the best and worst states for women workers. In the briefing paper, The Impact of Equal Pay on Poverty and the Economy, the increasingly important impact of pay equality is examined. Approximately 25.8 million children in the United States would benefit from the increased earnings of their mothers with equal pay. The value women workers bring to the economy and the positive changes they make to our country inspire IWPR to continue to produce the reliable research that informs and promotes effective policy. At this time in our country, facts have come under attack in many ways and are challenged like never before. The news media rely on IWPR to provide them with the information necessary to tell the stories and struggles of women across the country. With your support, we can continue to fight back against misinformation and allow the media, policymakers, activists, and supporters like you to see the research for themselves. I encourage you to take a moment today to contemplate the past, present, and future of working women in this country and how to best support their continuing achievements and struggles. As the Chair of the Board of IWPR, I ask for your support. Please make a donation to the Institute today in honor of a hard-working woman in your life. The Research News Roundup (RNR) is prepared monthly by the Institute for Women’s Policy Research (IWPR). Articles contained in each edition of the RNR address research on women’s issues and topics of interest to women and their families. To receive the RNR by email, subscribe or update your subscription settings. With two-thirds of the world’s population predicted to live in urban areas by the year 2050, the global landscape is changing rapidly. Urbanization brings with it numerous benefits, but the growing inequality between and within cities has complicated implications for urban residents, especially for those that have been historically marginalized. For women in particular, accessing the increased social, economic, and political opportunities ostensibly available to them in cities can be, in reality, incredibly difficult to take advantage of. To understand how children of immigrants are faring in the United States, it is important to examine contextual factors. In this paper, we analyze family influences; specifically, differences in parenting among immigrant mothers with different national origins, focusing on mothers from Mexico, other Latin American countries, China, and other Asian countries. Using the Early Childhood Longitudinal Study, Birth Cohort, we look at the economic, work, social support, and health contexts in which immigrant families are situated, and at differences in parenting practices. We then explore whether differences in contexts mediate the parenting differences our analyses reveal. Dr. Mariam K. Chamberlain, a founding member of the Institute for Women’s Policy Research and the founding president of the National Council for Research on Women, was the driving force behind the cultivation and sustainability of the women’s studies field of academic research. She is the namesake of IWPR’s prestigious Mariam K. Chamberlain Fellowship for Women in Public Policy, which trains young women for successful careers in research. Throughout her life, Dr. Chamberlain fought discrimination, established new roles for women, and championed the economic analysis of women’s issues. She passed away on April 2, 2013, at 94, just a few weeks shy of her 95th birthday, following complications from heart surgery. The daughter of Armenian immigrants, Mariam Kenosian Chamberlain was born and raised in Chelsea, Massachusetts, a working class suburb of Boston. Interest in the prevailing conditions of the depression led her to economics. She attended Radcliffe College on a scholarship and worked as a research assistant in the summers for Wassily Leontief, who later won the Nobel Prize in economics. During World War II, she worked at the Office of Strategic Services (OSS), on the staff of a “brain trust” of economists and other social scientists assembled by General William (“Wild Bill”) Donovan to aid in the war effort. As part of the research and analysis branch, she worked on estimates of enemy, military, and industrial strength. In 1950, Mariam Chamberlain received her Ph.D. in Economics from Harvard University, making her one of the few women of her generation to earn a Ph.D. in the field. In 1956, Dr. Chamberlain joined the Ford Foundation, where she served as a program officer in Economic Development and Administation, and then Education and Public Policy, until 1981. While at Ford, she spearheaded the funding of the academic women’s research and women’s studies movement; she is said to have provided nearly $10 million in support of new feminist initiatives. Her projects fostered a new analysis of women’s position in society, expanded women’s choices in the university, and supported the development of equality in law. She played a major role in building the academic infrastructure necessary to better understand women’s experiences and inform improved policies for women. In short, she paved the way for organizations like IWPR to thrive, and stocked the research pipeline with skilled women and men who have made important contributions to the study of women and public policy. Economics and the elimination of discrimination against women around the world remained the heart of her wide-ranging activities. After leaving the Ford Foundation in 1982, she headed the Task Force on Women in Higher Education at the Russell Sage Foundation. The Task Force’s work culminated in a published volume, Women in Academe: Progress and Prospects. Before leaving Ford, she had funded an initial meeting of a group of women’s research centers. That meeting established the National Council for Research on Women, which unanimously elected her its first president. She served in that role until 1989, after which she continued to go into the office every day as Founding President and Resident Scholar. 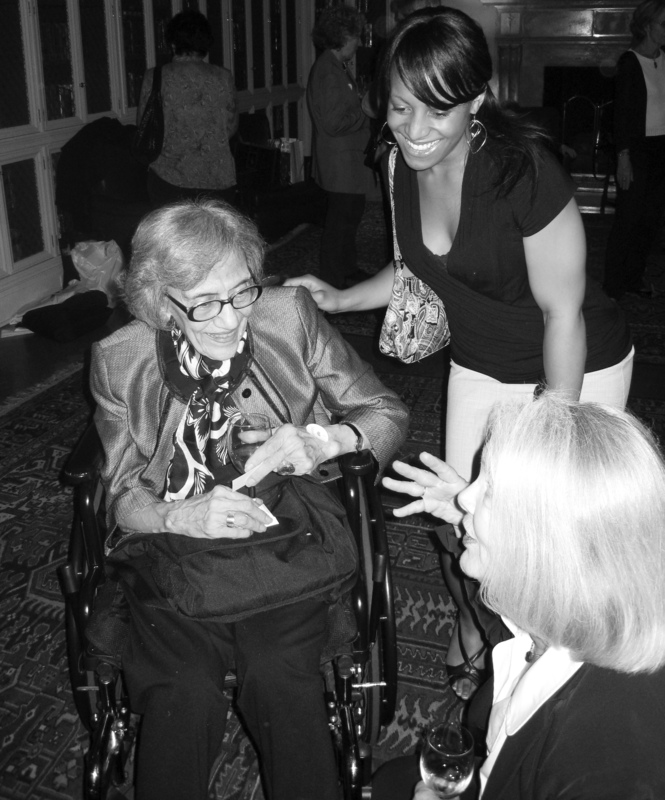 Mariam K. Chamberlain (left) with Angela Carlberg, the 2007-2008 Mariam K. Chamberlain Fellow (center) and Susan McGee Bailey (bottom right) of the Wellesley Centers for Women, at Dr. Chamberlain’s 90th birthday bash in New York City in 2008. IWPR owes much to Dr. Chamberlain. In 1987, Dr. Heidi Hartmann founded IWPR out of a need for comprehensive, women-focused, policy-oriented research. Dr. Chamberlain, who dedicated her career to lifting up women’s voices in academia, recognized the importance of a policy research institute centered on women, grounded by social science methodology, economics, and rigorous data analysis. Applying academic research to inform better policies for women was a natural extension of Dr. Chamberlain’s work, and she became a founding member of IWPR and served on its Board of Directors for nearly 20 years. IWPR endowed the Mariam K. Chamberlain Fellowship in Women and Public Policy to recognize the legacy of Dr. Chamberlain’s tireless efforts to open doors for the women researchers who came after her. Nearly 20 young women have gained valuable research experience as Fellows at IWPR since the beginning of the Mariam K. Chamberlain Fellowship. Past Mariam K. Chamberlain scholars have gone on to hold positions at government agencies such as the U.S. Department of Health and Human Services and the Congressional Research Service, earn advanced degrees from universities such as Harvard University, Columbia University, Stanford University, The George Washington University, and Brown University. Rhiana Gunn-Wright, IWPR’s current Mariam K. Chamberlain Fellow, was just recently named a 2013 Rhodes Scholar. The fellowship has allowed IWPR to expand its research capacity, strengthen its commitment to cultivating the next generation of women researchers and leaders, and ensure that a pipeline of experienced women researchers are at the policy-making table. The fellowship helps sustain Dr. Chamberlain’s legacy, built on the belief that relying on credible data and research, rather than anecdote and bias, leads to better policies for working women, which in turn contribute to improved long-term outcomes for their families. May she not only rest in peace, but rest assured that, because of her efforts, there are many more women able to take up the torch she leaves behind.